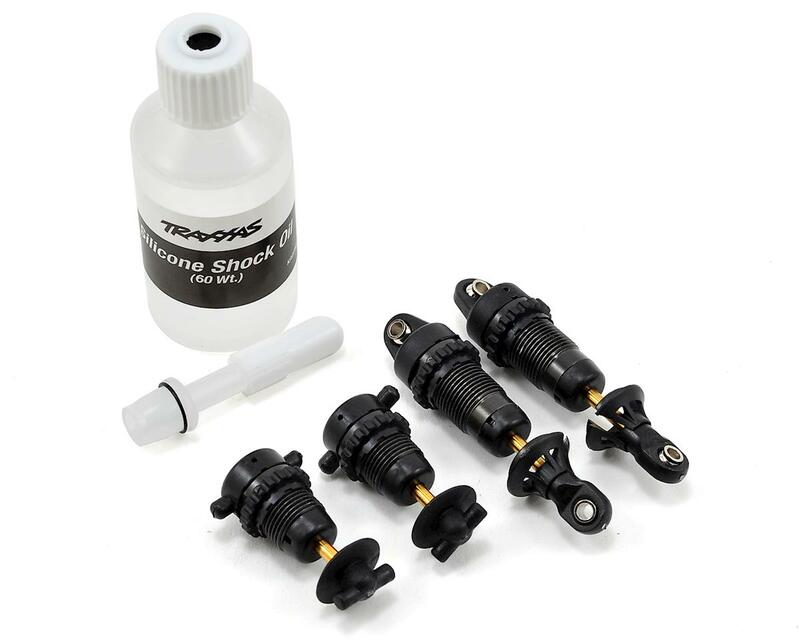 This is an optional Traxxas GTR Hard Anodized Shock Set, and is intended for use with the Traxxas 1/8 Scale Funny Car. This set includes four shocks; two for the front and two for the rear. These shocks come fully assembled but do not includes shock springs. 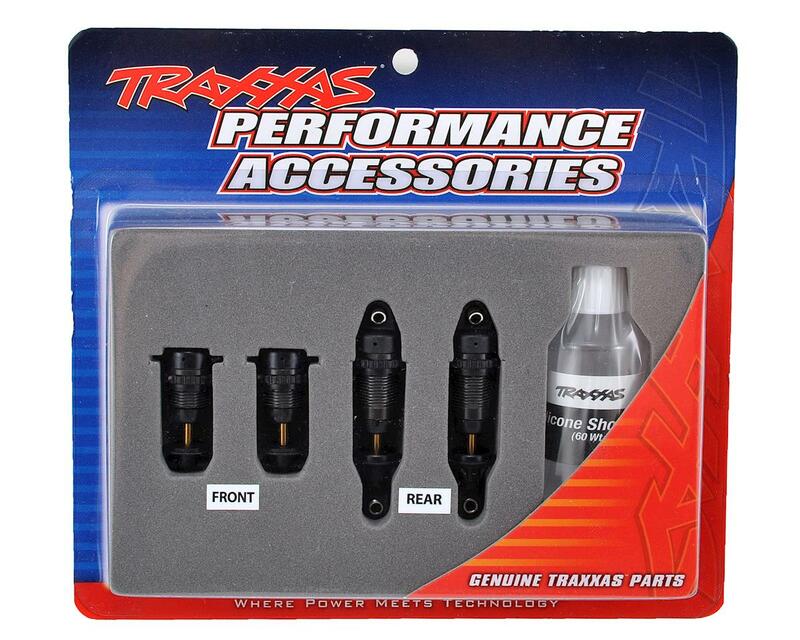 Traxxas aluminum accessories improve the appearance, precision, and control of the Traxxas Funny Car. Increase performance and looks with the accessory hard-anodized, PTFE-coated GTR shocks with titanium-nitride coated shock shafts. Direct replacements for the original parts, no modifications required.